In this episode, we speak with Carwil Bjork-James, assistant professor of anthropology at Vanderbilt University. Bjork-James is a cultural anthropologist whose work focuses on strategies of grassroots autonomy and disruptive protest in Latin America. He serves on the board of the Wiki Education Foundation, a grant-supported non-profit institution that supports the use of Wikipedia and Wikimedia projects in higher education contexts across the United States and Canada. In the interview, Bjork-James discusses the problem of representation on Wikipedia, ways he has worked with his students to write for Wikipedia, and how he sees his role as a Wikipedian. This episode’s interview is conducted by Gayathri Narasimham, Associate Director of the Vanderbilt Institute for Digital Learning. 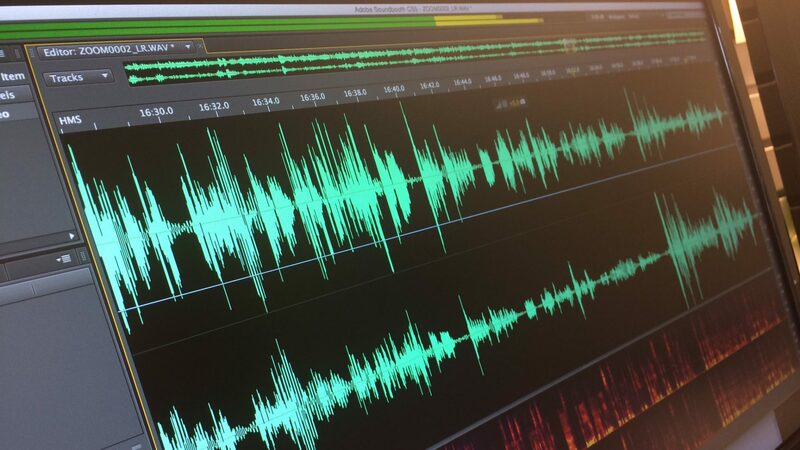 Derek Bruff: [00:00] Welcome to “Leading Lines,” a podcast from Vanderbilt University. I am your host Derek Bruff, Director of the Vanderbilt Center for Teaching. It’s spring here in Nashville, which means it is allergy season, which is why I might sound a little different today. 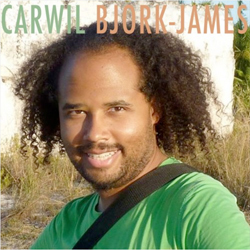 [00:16] We have a fascinating interview in this episode today with Carwil Bjork‑James, Assistant Professor of Anthropology here at Vanderbilt University. [00:23] Carwil is on the board of the Wiki Education Foundation, a non‑profit focused on fostering connections between higher education and Wikipedia. [00:31] The foundation has a lot of resources for instructors interested in having their students contribute to Wikipedia, something Carwil has doing in his own teaching for several years now. [00:39] Back in Episode 13 of Leading Lines, I interviewed Tim Foster, a doctoral student in Spanish and Portuguese, who worked with his students to build out the Portuguese language Wikipedia page on Nashville. [00:49] Tim and Carwil were both on a panel on teaching with Wikipedia that I helped organize back in the fall. [00:55] Our interview with Carwil was conducted by Gayathri Narasimham, associate director of the Vanderbilt Institute for Digital Learning who met Carwil at that panel. [01:04] In the interview, Carwil talks about the problem of representation on Wikipedia, ways he’s engaged his students with Wikipedia, as well as ways he’s contributed to the encyclopedia himself over the years. [01:14] He makes a strong pitch for faculty to write for Wikipedia, not really because of their role as scholars, but because of the teaching that they do. Gayathri Narasimham: [01:25] Hi, I’m here with Carwil Bjork‑James, who is assistant professor in anthropology and who is very involved with Wikipedia. He is also on the board of the Wiki Education Foundation. [01:39] Carwil, you’ve also been on the panel discussing Wikipedia with Tim Foster a few months back, right? Gayathri: [01:45] That’s when I actually met you. You’re in anthropology. How did you get involved with Wikipedia? Talk to us about that relationship and your interest in it. Carwil: [01:55] I’ve been an editor on Wikipedia, that’s just anyone who goes online and establishes an account and then adds to the encyclopedia for about as long as when I went back to grad school to study anthropology. [02:08] Those two things weren’t necessarily closely linked. I was more concerned with, “What are the parts of Wikipedia that were missing?” Right? [02:20] And trying to fit in. This was in 2005 when I first started editing. That does really guide my choice of how to use it in the classroom as well because I mostly used it in a human rights of indigenous people class. [02:38] There are over 6,000 indigenous peoples. The coverage of them is…it varies, right? Some of them, there’s a lot of detailed information and some there’s very little. [02:49] Also, the coverage of Wikipedia as an encyclopedia is very uneven based on who has the most access to technology, to academic publication and to the particular language communities of the largest Wikipedia’s. [03:02] I’m interested in making good on Wikipedia’s promise to describe more the world and describe the world evenly, and my students have the opportunity to do that in their class. Gayathri: [03:22] Do you do fieldwork where you’ve actually met a lot of the indigenous peoples about whom you write in Wikipedia and talk about? Carwil: [03:25] My fieldwork is in Bolivia. Bolivia is, depending on how you look at it, either a plurality or majority indigenous country. [03:35] A lot of my fieldwork has been urban, but it’s also been with the ways indigenous movements from outside of the city that try and influence national policy by coming to the city. It is the case now that most indigenous people in Bolivia live in cities. [03:55] Yes, some of the work that I have done is been to cover things on Wikipedia based on…It’s been a choice of topics based on what I’ve experienced in fieldwork, but one of the things that’s true about Wikipedia is its structure is not a place for original research. [04:22] I can’t, for example, use one of the interviews that I would do with an activist on the ground, or go somewhere and see how things are on the ground and then just go and type that into Wikipedia. [04:38] Instead, it relies on having published either primary or secondary sources that can be cited and these citations can be verified to show things there. [04:37] It was the case that when I was in the field and dealing with political conflicts or social actors or other folks that I would use Wikipedia as an adjunct to do some of the fieldwork I did. [04:50] When I would look in‑depth at a particular organization say, The Confederation of Indigenous Peoples of Bolivia, I would try and get all my notes together about what exactly…When was it founded, what have they done with their various actions. [05:06] Because that stuff is the pure factual information that Wikipedia thrives on, I would use Wikipedia as a place to put that information up and out to the world. Gayathri: [05:21] A common perception about Wikipedia is the reliability of its sources and its information. You’re using Wikipedia in your research and maybe in your classes to teach your students about the indigenous peoples that you cover in your research and through your field work. [05:40] How do you ensure the reliability of this information? Are there other online published sources that you can actually…You said you have references you can then verify and so on. That must be a very important process for your work particularly, right? Carwil: [05:58] Yeah, and I think actually Wikipedia’s an interesting arena because it is, outside of the university space, the published source that is most reliant on and most uses formal citation as a method, and so it makes it a very good place to teach about that process. [06:21]It is the case that Wikipedia has developed a reputation because it is in encyclopedia that anyone can go on and edit, as a place where people might insert unreliable information, which I think is a problem that there are good tools for dealing with on Wikipedia. [06:42] The different question of how do you like…popularly held beliefs or popularly created tropes or master narratives tend to then influence the way that encyclopedias and other publications are written is, I think, the bigger problem for accuracy with Wikipedia. [07:04] I know there have been a number of, particularly in the scientific field, studies comparing, say, Encyclopedia Britannica and Wikipedia on things, and Wikipedia does quite well in these side by side comparisons. What is more factual, what is more up to date and so on, but it varies a lot on topic. [07:53] None of the websites that are higher have mass amounts of information about factual things, so it is a really important source for people. [08:02] Teaching people, “ Oh, when you see that page, don’t forget the citations down below, check up and see what those things are” is important. [08:12] It’s something that we need to be teaching as academics. You know our student are going to read on Wikipedia and they should read Wikipedia, but they should edit Wikipedia when it’s wrong and they should cite the sources that they find below on Wikipedia after they have gone and checked them. [08:29] That’s a kind of four-part rule that actually every professor should know just because it is such an important information source for people in the world today. Gayathri: [08:44] Do you use Wikipedia regularly in your classes for teaching? I want to bring up the example when Tim Foster talked about creating a page in Portuguese for his students and the difficulties that they encountered and how they did it as a class project. [09:03] Have you done something similar in your class? Because a lot of your work is also involving research that’s not in the US and probably in a language that’s not English. How have you dealt with these kinds of difficulties? Carwil: [09:18] The place where I have this…this semester is my third time doing this, is in teaching human rights of indigenous peoples. That is an area where I’d have a structured Wikipedia assignment that is built up through the course of the semester. [09:36] Students will pick a topic and then do library research in order to provide themselves with the necessary sources and to really become acquainted with the topic. [09:46] In a lot of ways it’s similar to a term paper that I might have in the class, except for it has to be written in a particular style. It has to be a neutral point of view encyclopedia article. [10:26] Then let me say, “Oh, and I also think, maybe, this pipeline shouldn’t be built for the following reasons,” or I also think that these people have been marginalized in their school and that’s unfair, and this is why. Or I just find other people who have those opinions and I properly attribute them. [10:45] That work is actually a really productive bit of work. At the same time, there is a narrative function. It’s not just that knowing that even the most “factual” framework is actually shaped by some kind of underlying cultural narrative. [11:26] What place is assigned to indigenous peoples, and what do we see or don’t we see about them through that process? How do we rethink some of these narratives? [11:37] Often, that means confronting their erasure. It means remembering that Nashville didn’t begin the moment that James Robertson and John Samir showed up. It also means looking at particular narratives of how history has been told over time. [11:58] Another thing that we do in this class we read a text by a historian called James Merrell, who’s looked at how are American Indians figured in US historiography? What ideas are laid into narratives? [12:17] One of those ideas, for example, is that Europeans are settlers and native people are roaming throughout. Then they’re said to have…they have hunting grounds, but not territories. Then they don’t have countries, they have different words for their leaders and other things like that. Gayathri: [12:49] This is a very fascinating aspect of Wikipedia editing to me, that you’re talking about objectivity and not opinions, and you are talking about finding references to back your claim, even if you have any opinions that should be backed. [13:04] Has it been a process of discovery over time for you, teaching students to use Wikipedia in meaningful ways, but also creating content that is also objective in a sense because from what you’re talking about, it’s not just the history, the anthropology, the people that you’re studying, but it’s also the rest of American history, or world history, for that matter. Carwil: [13:30] I do think that being a Wikipedia editor is an important learning process, including in those moments where multiple people with multiple points of view are editing the same document. [13:43] There’s a very direct feedback and push and pull around how do we understand this term, what is it valuable for, all this kind of stuff. [13:59] It changes how you think about knowledge and its production. There’s work that’s involved with that and bringing students along through that. Some of the work involves that. [14:11] I tend to think of it as I emphasize the things that are relevant to the class for doing that. For just practical reasons, I haven’t… the class that this knowledge and socially generated concepts fits best in is actually my intro class. [14:31] But I feel like I don’t want to do as much technical teaching with them that says, “How are we going to write, and how are we going to do this kind of stuff” because there’s a lot to cover anyway. [14:46] Yes, there’s a lot. It’s actually valuable on both of those levels. Are they getting the content? Are they thinking through…how do you write about something in a way that it can be shared and neutral? What does neutral mean, anyway? What kind of knowledge is excluded from traditional versions of things? [15:10] Over the longer term, I’d say that some of my writings on and editing — personal writings and editing — on Wikipedia has been in this kind of experimental mode. What are the things that are natural parts of how we describe something? [15:43] What Wikipedia allows us to do is we’re generating a spec sheet for a lot of things, but it isn’t just one angle in, right? [15:54] Presumably, the people who did all this writing before were concerned with a military audience. Maybe, there’s another audience that says, “Oh, it’s that bomb that caused this atrocity in that situation.” How is that a different perspective? Gayathri: [16:13] That’s the most fascinating aspect of Wikipedia, is it’s not like a journal, where it’s very static, or it’s not like Encyclopedia Britannica, for example, which is also more controlled in the kinds of entries that can be made. [16:29] This is more interactive. You get perspectives from different people and you have to deal with those perspectives. [16:35] When you said about teaching your students objective writing, I think that’s a very interesting aspect of using Wikipedia. [16:44] Unlike any other kind of writing, this is very practical, immediately, or faced with every sentence, you have to be careful about writing and attributing the references, and so on. This is great. [16:57] That brings me to this question. Is this why you chose Wikipedia instead of any other medium because there’s a lot of different ways where you can add information online? [17:07] You could create blog posts, and you could create Google docs or other kinds of ways to share information, but Wikipedia is a very unique way. Tell me why you chose this? Carwil: [17:22] I do actually, in my intro class, create a course blog. In both of those formats, you do have this appreciation of, “Oh I’m writing something that I know other people are going to read.” In that class, I do because it’s technically available to other people, but it’s not indexed. Gayathri: [17:43] Is it available to others/students? Carwil: [17:46] It would be available to others outside, but it’s also not ‑‑ what am I looking for ‑‑ it’s not indexed on search engines and things like that. [18:15] “What is my opinion where that’s really, and how am I coming to understand, grappling with an ethical issue or grappling with an idea that I haven’t had to deal with before?” That’s a good medium. [18:27] Whereas Wikipedia also has the interactive, “You put it out there, other people are going to read it.” I can say on my first day, whatever you write is going to be read by whoever’s interested in your topic in the future. [18:42] There is a challenge of specialization around it where it’s much more helpful to be able to write something more complete. Maybe something that’s poorly covered now so that means it would be a bad thing for an internal world geography class because man, do we have all of that stuff pretty well filled out. [19:06] It’s really great for indigenous rights class. It’s also making it an option for my graduate theory students as one of their ‑‑ I’m very much trying to be fair ‑‑ as an option, you can describe an author or highly referenced text or whatever, write an encyclopedia article all about it. [19:30] Those things are tremendously useful, if someone is to encounter [inaudible] gender trouble for the first time and there’s a good encyclopedia article about it. It’s just really helpful to have an outline and some effective things. How did this influence that, and so on? [19:58] I had to make some choices. I definitely opted some things that are visible but then don’t necessarily reveal everything about the student to like a permanent audience. I’m always very aware of that, that intensely archived aspect of a lot of the Internet media. Gayathri: [20:23] That’s a very interesting point, and it actually relates to this next question I thought of asking you is you’ve written a lot of Wikipedia articles. [20:27] Have you had many occasions that you’ve had to go back and revise your statements about a particular thing because of more recent discoveries, recent opinions that have surfaced? Carwil: [20:40] Sometimes. Wikipedia is a strange medium because your name isn’t sitting out there attached to everything that you’ve worked on. I feel like if it were, perhaps I would be a more meticulous and recurrent updater and probably would have fewer articles that I had worked on. [21:03] I do find myself either defending or amplifying things that I’ve written in the past, for sure. You develop either a sense of ownership or a sense of concern, shall we say, about particular pieces. Sometimes…I definitely write opinion pieces. I write academic pieces. I may write stuff for Wikipedia. [21:27] Sometimes, I’m deciding which is the medium, that is best to respond to something. Sometimes it’s just that we don’t have a shared cognitive idea about it or let me give another example. Something comes up in a lot of conversation over and over again. [22:11] There is a very different academic usage of white supremacy to mean a system of racial inequality in which white people are at an advantage that doesn’t mean KKK hoods and revengist, fantastical positioning around. [22:51] Here’s how it distinguishes from everything else. Then I actually don’t remember if it was from my personal writing or if it’s somewhere else on Wikipedia, that someone would use that term. [23:09] You then do have the satisfaction that, maybe, that influences a public dialog, that maybe people who are not aware of that, who are wrestling with that term for the first time, will have a chance. [23:22] That, maybe, is a reason why even… I’m seeing much more of my Wikipedia work has been about race than my academic work because it’s a part of a public dialog. It’s just helpful to have information out there. Gayathri: [23:37] And also to have clear concepts of what it is that they’re talking about. That makes a lot of sense. [23:42] To me, because I’m almost like an outsider coming into these conversations, it’s very helpful to understand these different terminologies and so it’s very helpful when you said that, in conversation, this is what it means. Not this, but this, those kinds of contrasts. Carwil: [23:58] The other thing that I would say is that when I have wrestled with something for a long time and found out a lot, typically for teaching purposes, then I’m very tempted to upload and share that particular bit of research in Wikipedia. This is also a race example for what it’s worth. [24:18] I taught this biology and culture of race. There’s a lot of conversation about human genetic clustering, and how does this map onto race or not map onto race. It turned out that a lot of this conversation was really about a 2002 study with a small sample size, and so on. It dominates the conversation. [25:08] I had my class read through five or six of these different studies, how are they framed, what has changed over time. I see all of that. [25:19] I had charts in lecture notes. I just took that material and added it to the human genetic clustering Wikipedia page. [25:26] As much as I like teaching students, there’s a side of me that I would love to give the faculty a seminar that says, “Here’s how you take all that work that you’re doing that, maybe, you’re not on the frontier of the research. Gayathri: [25:48] That’s a different way to use it, right. You’ve been talking about how you’re using Wikipedia in your class for your students, but this broader way of doing things is also very useful, and it’s also useful for students. [26:02] You could imagine faculty would think about all the concepts that they are interested in and the research that’s been done and do a synthesis of things, and then it’ll be a more authoritative work that’s what’s out there, that’s opinions that’s just dispersed in the community. That’s very interesting. [26:25] That brings me to the next question, which is, tell us about the Wikimedia Foundation. What is your involvement with it? Carwil: [26:33] The Wikimedia Foundation is an institution that was set up to support, initially, Wikipedia and then a bunch of other free content projects that spun out from it, including the most prominent of which are Wikimedia Commons or commons.wikimedia.org. [26:49] Also, Wikidata and Wikisource. Wikidata has attempted to build structured datasets about factual information and Wikisource is a place to host text and both…All of these produce free culture, at least freely redistributable cultural products. [27:16] So there’s a bunch of legal work that is built around that and a bunch of technical work. The foundation was set up to host that. [27:21] Within that project, one thing that people realize they could do was the kind of educational projects that I’m talking about. About 8 or 10 years ago, people started within…kind of supported by Wikipedia, these kind of college‑level education projects. [27:40] There’s lots of community conversation about them. Wikimedia, by the way, is a democratically run or elected board that comes out of the Wikimedia community. There are a lot of inter‑person meetings, all of this stuff. [27:59] One of those, the education project in the US, came out of that. Then it came to a point where they decided that they wanted to scale up. [28:12] The global Wikipedia community also had a question of where do we put our resources. Wikimedia…education folks working predominantly in the US spun off into a separate NGO called the Wiki Education Foundation. And they’re friends. [28:33] In fact, Wiki Education Foundation will go and provide software to Wikimedia now. They spun off, formed a new office and began a new nonprofit about five or six years ago. I’ve joined the board of it. [28:52] There are several of us who are educators and there are several of us who are Wikipedians. That overlap, who are on the board of it, in addition to some other people who are involved in other education work or their nonprofit work. [29:11] It’s an organization of about 9 or 10 staff right now, based in San Francisco. That provides support for higher education teaching across the country. [29:17] It has 7,000 students per semester right now are editing, using Wikipedia as part of their assignments or, in some cases, are doing critical work or doing writing work or doing other projects. [29:40] It’s been growing rapidly. That represents hundreds of classes. I think that it’s producing a substantial, bordering on [inaudible] percentage of all [inaudible] Wikipedia at this point. [29:48] It’s a big deal. We’re really excited about it and figuring out ways to support people is the core of its mission because this started off as a tinkering process. When I was first teaching using Wikipedia five years ago, Wiki Ed had not spun off yet. [30:16] The tools available were more limited. Now you, as a professor, teaching with Wikipedia can get a dashboard where you’re leading all of your students through online training modules where they’re learning about how to write Wikipedia. [30:35] They’re seeing videos and they’re getting to do automatic…Basically, it’s like a MOOC at the beginning. [30:43] Then it’s not a MOOC anymore because it’s based on the classroom, but you do have a dashboard where you can see what edits have my students made? How many characters have they added? What have they been up to this week? Are any of those changes directly plagiarized from other sources? You need to be concerned about that. [31:04] All of those things have been built in over time. The US program has built these tools, and then is offering them to the other programs that do Wikipedia education around the world, to be re‑localized and put in different language. Gayathri: [31:26] Is this completely independent of other organizations? Google, for example, they were going to create a library. It’s independent of that. This is exclusive to Wikipedia and the educators? Carwil: [31:41] This is an education focused, independent NGO. I do think that a couple of years ago, Google gave a grant, not in exchange for other services, just because they respected the work. Most of it’s foundation funded. [31:58] But a lot of it is foundations that emerged from the tech sector because the interest in Wikipedia is strong there. [32:12] One thing that I think is important to understand about the Wikimedia community, including Wikipedia, is that it produces free and open source content. [32:22] I’m not sure if all of the software is open source, but it’s designed to facilitate the massive and horizontal sharing of knowledge and other information by producing things there that don’t have copyrights associated with them, or that have created commons licenses or other things like that. [32:43] The goal, at least at Wikipedia, was to have something that wasn’t print encyclopedias, it was to produce a widely disseminatable doc item. [32:57] The way to do that was to have content that the authors gave up at the bottom of every edit page that you’re giving up the rights to the text, the [inaudible] institution, not copy return [inaudible] to it. [33:11] You should produce something that will be freely producible. It means that there’s a tremendous amount of diagrams and photos and video and other things that are being posted through the system. Because it’s such a large user base, people who are not content producers but who are content users, it’s able to fund that pretty well, Wikipedia is. [33:37] Many, many people will log on in a given day, hundreds of millions of people. If they do a fund drive, a few days at the end of the year, they’re going to be able to sustain the necessary infrastructure for all of that. [33:51] And so in many ways, it’s one of the most important free content host sites that have come up with a model to make that sustainable, which is really important. Gayathri: [34:03] That’s very impressive and I’m very impressed that you’re on the board of one of 90 producers. That’s great. Are your students part of the group that’s editing the 7,000 or…? Carwil: [34:11] They’re among the editors. Gayathri: [34:12] That’s awesome. This is great information. If a faculty wants to be part of this group, where can they get information? Carwil: [34:23] They can go to wikiedu.org. That’s the best site to start out. There are a set of both PDF and physical pamphlets that have been built over time. [34:24] This is one of the other things that WikiEd and, to some extent, the international community, in dialog with one another, has produced a booklet editing Wikipedia or assessing a Wikipedia article or illustrating on Wikipedia. [34:57] Also, increasingly there’s been production of subject guides that say, OK, you’re writing an article about a disease or a medical article. Here’s the typical structure of a disease article or of a cell article or things like that. [35:13] Make sure these elements are there. Here are some resources. Here, you can click through to that. Most people have seen the front face of Wikipedia, maybe, even clicked to the home page. [36:08] if they’re on campus, I’d love to talk with them personally. If they are looking at this from further way, there’s definitely a lot of resources through WikiEd, both printed ones and phone calls and online chats. There are online office hours for WikiEd to professors. Gayathri: [36:36] This is awesome. We’ll definitely have links to the information that you have here in our podcast page, so that’s good to know. [36:46] Before we end, I have one final question we’ll be asking all our podcast contributors. What is your favorite analog technology? Carwil: [36:56] I want to say the analog watch, but I don’t know if this is the best. In a lot of ways, both because they can be crafted and quite beautiful, and because you can watch something work, particularly the ones that expose some of their gear work. Where you see the ways that they function. Gayathri: [37:21] Some of them are very expensive, too, like a lot of Swiss watches. Carwil: [37:25] Elaborate, yes. I do feel like one of the things that we’re seeing is that, but maybe people didn’t expect 15 or 20 years ago, is that as there’s been more and more digital technology where we’re in a generation of digital technology that’s interested in crafting. How do we make physical objects? [37:49] I feel like when I first started using computers, everyone thought, “Oh, we’re on this track toward virtual everything.” No one anticipated that we might be on a track to using the virtual to create new physical things. [38:07] While that’s not something that I do, it is something that I think is fascinating. Gayathri: [38:17] That’s great. I think that’s fascinating to me, what you just said about the creative aspect of it. It may be invisible in digital technology, it’s very obvious in analog where we have to put things together. That’s interesting. [38:21] Thank you very much, Carwil. Derek: [38:27] That was Carwil Bjork‑James, Assistant Professor of Anthropology at Vanderbilt University. In the show notes, you’ll find links to the information about Carwil as well as the Wiki Education Foundation. [38:38] After hearing Carwil talk about the foundation’s work, I’m sorely tempted to build a Wikipedia project into my fall first‑year writing seminar, but I’m already planning a podcast project with my students. I’m not sure if I’ve got room for another big project. Too many ideas, too little time. [38:52] You can find all our past episodes, including that interview with Tim Foster about his use of Wikipedia in a Portuguese language course on our website, leadinglinespod.com. [39:02] We welcome your comments and questions there and on Twitter where our handle is @leadinglinespod. You can subscribe to our podcast through iTunes or your other favorite podcast app. [39:10] If you like what you hear in the podcast, please leave us a rating and a review on iTunes. That helps other listeners find the show. [39:17] Leading Lines is produced by the Center for Teaching, the Vanderbilt Institute for Digital Learning, the Office of Scholarly Communications, and the Associate Provost for Digital Learning. [39:23] This episode was edited by Rhett McDaniel. Look for new episodes the 1st and 3rd Monday of each month. I’m your host, Derek Bruff. Thanks for listening.